Happy Tuesday! I hope you all had a great weekend! Ours was fun and productive, which if you ask me, is a winning weekend combo. 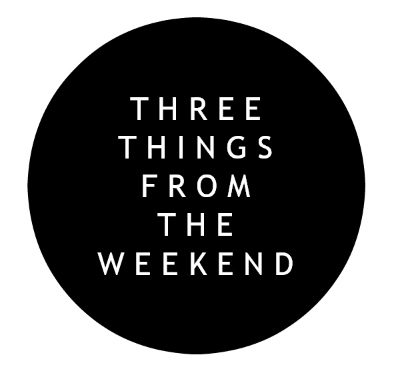 Today, I'm going to share three things from the weekend! 1. T A C O M A M A | In the notes on my phone, I have a running list of restaurants that I want to try. This is big for me because I am such a creature of habit. Just ask my husband, I always want to go to the same Greek place to eat because I know I love their food. 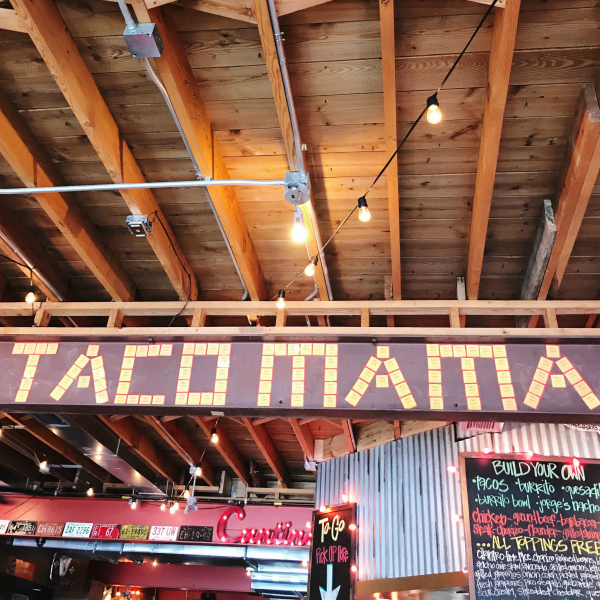 Friday night I was in the mood to try something new so I went to my list and found Taco Mama. I had seen a few local bloggers share about this place so I was excited to try it out! First of all, I thought the name was adorable and secondly, the decor was so good! Also, the food and drinks were amazing. 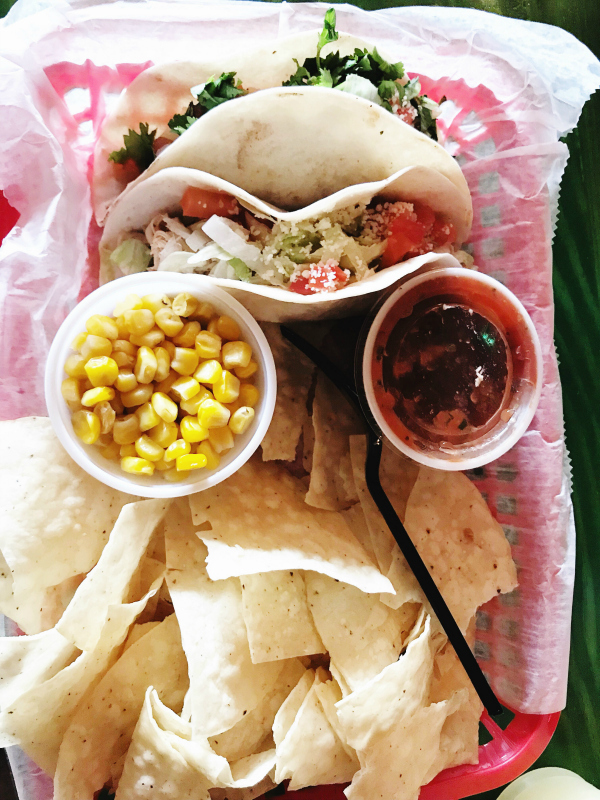 Delicious tacos and yummy margaritas! My husband and I both gave this place two thumbs up. 2. 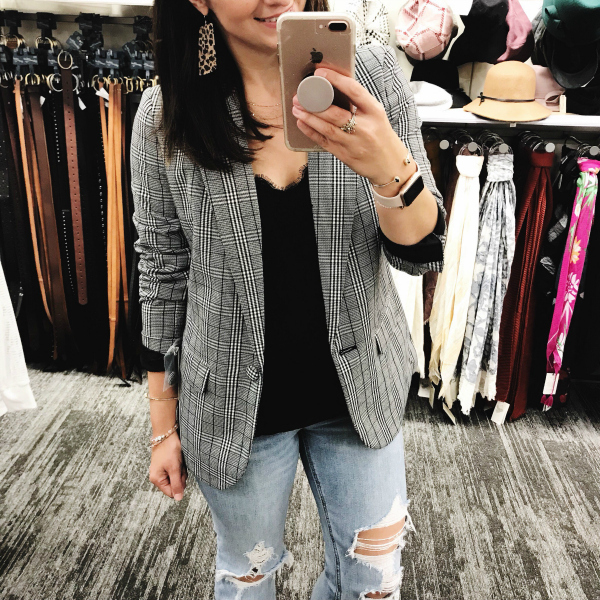 T A R G E T T R Y O N S | I ordered the blazer pictured below online at Target to pick up in store since my size wasn't available for shipping. I wanted to try it on before I took it home with me so I just threw it on over what I was already wearing. 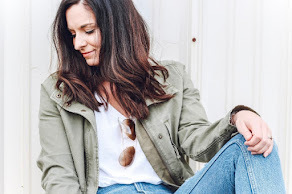 I have never considered myself to be a blazer person because my overall style is super casual but I loved this blazer, especially with a cami and distressed denim! I love that it can be dressed up or down depending on the occasion. I tried on the size two but I took home a size four for a little extra room in the shoulders. It's such a great quality piece for a great price! I think I might be a blazer person now. 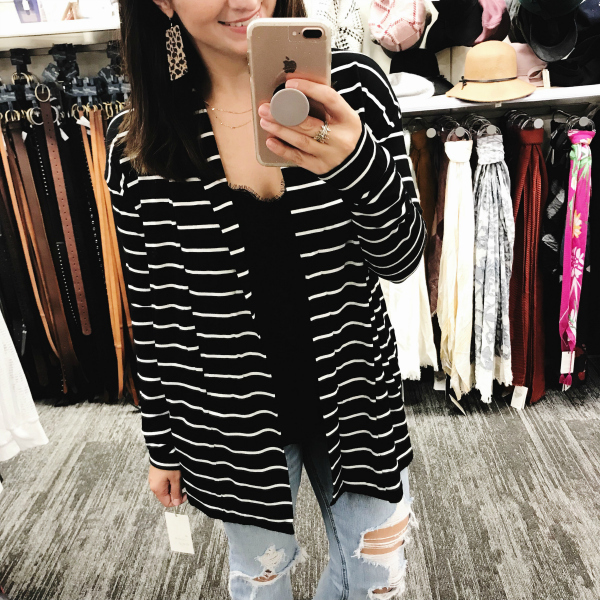 I also tried on this striped cardigan because cardigans and stripes always get my attention. It's so soft and so comfortable plus it has pockets. I tried on a size small and I found the fit to be true to size. It also comes in pink and gray, which I love as well. 3. 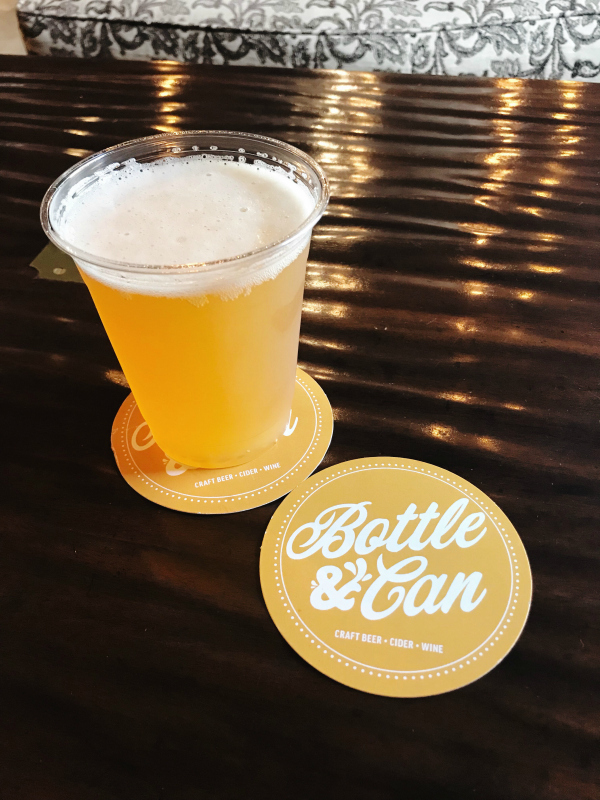 B O T T L E A N D C A N | On Saturday, one of our favorite local places to hang out, Bottle & Can, celebrated it's one year beer-versary! 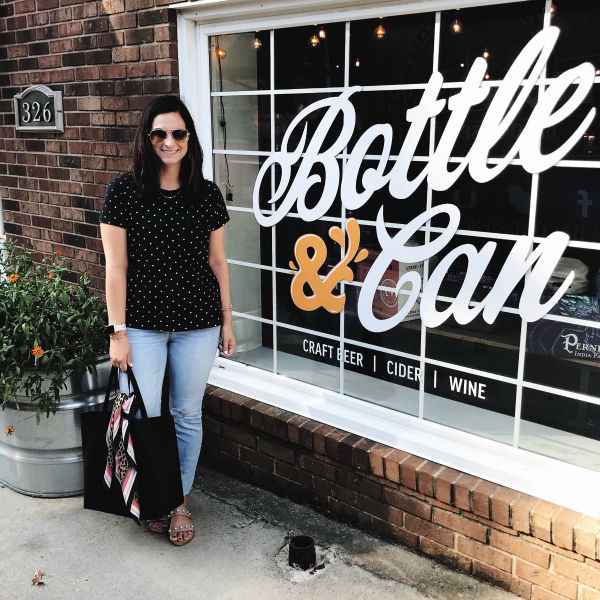 My husband and I are both big fans of craft beer so we love visiting Bottle & Can to try out new beers. It's also family friendly, which is a must for us because we pretty much take our kids with us everywhere. The atmosphere is laid back and they have such a great variety of beer plus they also have wine available as well. We love this gem in our town!